From Our Home to Yours! Quarry Direct is a top provider of natural stone, cut directly from our own rock quarries in the Canadian Rockies. 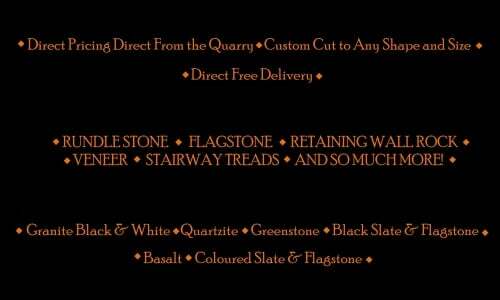 Quarry Direct then transports this natural stone right to you, AND WITH absolutely NO transportation FEES or charges. The nature of our stone when cut directly from the mine is of the highest grade. Compare us to others! If you don't see what you are looking for, call us, we will be happy to discuss all your needs.